Hawthorne: the Dragon has landed. Tasked with resupplying the International Space Station and carrying other materials back to Earth, SpaceX's Dragon capsule became the first commercial spacecraft to dock with the ISS days ago. And earlier this morning SpaceX employees celebrated in Hawthorne, California after Dragon's successful return to Earth. For those who missed the coverage this morning, join us for a visual journey through the spacecraft's 370 kilometer plunge into the Pacific Ocean. As many of our readers of legal age know, bubbles in beer do some weird stuff. In fact, they were the inspiration for the first bubble chamber. Personally, I have always been stumped by the bubbles sinking in Guinness. This favorite Irish stout can be mesmerizing, with the bubbles slowly falling down the outside of the glass. Researchers at the University of Limerick may have found the answer. Its not the beer that's special, its the shape of the glass in which it is usually served. I know that most labs do experiments with Guinness after hours, this is the first time I've heard of it ending in a paper. As commencement season comes to a close, many students are eagerly awaiting the next step in their life — one possibly free of term paper all-nighters, exams and lab reports. But joining the "real world" has its own share of stresses, and they can be quite troubling for a recent graduate. Adult life's inherent lack of structure can leave many recent graduates feeling lost, and they may even lose sight of why they went to school in the first place. That's why a good commencement speaker can be so inspirational. Aside from jokes about moving back in with parents, graduation speakers can provide the courage to face the nebulous journey ahead. While physicists aren't always known for their eloquence, several notable physicists have delivered some inspiring pieces of advice for recent graduates. I've compiled a list of memorable commencement speeches delivered by Neil deGrasse Tyson, Steven Chu, Richard Feynman and more. Enjoy. "But there is one feature I notice that is generally missing in cargo cult science. That is the idea that we all hope you have learned in studying science in school — we never say explicitly what this is, but just hope that you catch on by all the examples of scientific investigation. It is interesting, therefore, to bring it out now and speak of it explicitly. It's a kind of scientific integrity, a principle of scientific thought that corresponds to a kind of utter honesty — a kind of leaning over backwards." International Space Station experiments are tackling major illnesses. In the hunt for cancer treatments, researchers have had some help from higher authorities -- way higher. 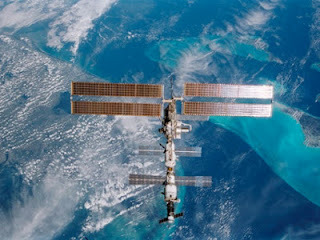 The International Space Station, orbiting the Earth at more than 200 miles in the sky, houses scientific experiments that have led to advances in several medical fields. Many things don't react the same way in the microgravity environment of space as they do on the ground. Back in 1998, during the shuttle program, now-retired NASA scientist Dennis Morrison began experimenting on microencapsulation, a process that forms tiny liquid-filled, biodegradable micro-balloons containing various drug solutions. It can provide better drug delivery and new medical treatments for solid tumors and resistant infections. Those encapsulated drugs could be directly injected into a tumor and would go to work destroying the cancer from the inside out. "The idea is that fluids don't behave in space the way they do here on Earth," explained Tara Ruttley, an associate International Space Station program scientist. Jay Silver has what many physics students would consider a dream job: He tinkers with new technologies every day as a graduate student in MIT Media Lab's Lifelong Kindergarten Group. 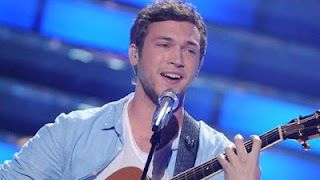 Together with his colleague Eric Rosenbaum, he has developed a fun do-it-yourself inventor's kit that can turn many everyday objects into touchpads that connect with your laptop. In the video below, Rosenbaum and Silver highlight some of the ways they've used their kickstarter project -- called Makey Makey -- including a banana keyboard, piano stairs, and a Play-Doh gamepad for playing Mario Bros. But the beauty of the project is that its applications are only limited by the user's imagination. Makey Makey relies on our bodies' ability to conduct small amounts of electricity. A metal clip connects the Makey Makey hardware to an everyday object, such as a banana or Play-Doh, and the user holds one more metal clip in their hand or around their wrist. Touching the object completes a circuit through the user's body, enabling the user to perform mouse clicks and keyboard strokes with their unique touchpad. With a USB input and compatibility with most modern operating systems, this DIY project is ready for action. But this project may not have been realized without inspiration from an undergraduate physics lab staple: the theremin. For most graduate students in physics, a research focused career ranks more attractive than teaching, government work, or science outreach and writing. Most PhD physicists, however, will never attain a tenure-track position at a university. Upon entering graduate school, many students realize that the odds are against them, but they push forward regardless. Students may not realize how their career perceptions will evolve throughout graduate school, however. A study published earlier this month has revealed that research careers become less attractive to graduate students as they progress through school. This image shows the relative attractiveness of different careers for biology, chemistry and physics graduate students. Positive percentages represent the proportion of students who found a career more appealing over time, and negative percentages represent the proportion of students who found a career less attractive over time. Image Courtesy Henry Sauermann/Micheal Roach/PLOS One. As I think everyone must know by this point, the Mayans seem to have predicted the end of the world on December 21st, 2012. Its an interesting thing to think about but there don't seem to be many people convinced enough by the prediction to be running around crossing off everything on their bucket list. Though it might be a good excuse to finally try bull riding. However, another ancient society gave us something more than a doomsday prediction, they gave us an invaluable data point in unraveling the mystery of eclipsing binary stars and how their mass changes over long periods of time. Correction: This blog post originally stated that Kodak's nuclear device was a nuclear reactor as was widely reported. This can be misleading. The device increased the output of neutrons from a radioactive source, but there was not enough material to initiate a chain reaction. The device was used in a very similar way to many research reactors found on university campuses. The post has been edited to reflect this. This week, the Internet has been buzzing with news that Kodak had a nuclear facility housed in a basement at its Rochester, NY industrial park for over thirty years. Until 2007, Kodak used the device to check for impurities in samples, but the device wasn't widely known until the local Democrat and Chronicle newspaper ran an article late last week. Many have questioned why the company known for its photography products would need a nuclear device, and some alarmist articles have surfaced. "Kodak may be going under, but apparently they could have started their own nuclear war if they wanted, just six years ago." Actually, Kodak didn't even have enough nuclear fuel to develop a single warhead. Refrigerator-sized nuclear devices like the one found in Kodak's basement have key differences with nuclear reactors found at power plants, and Kodak certainly couldn't have ignited World War III alone. In fact, the device is very similar to research reactors that can be found on several university campuses, and they are operated under strict guidelines without any nefarious intentions. The NBA playoffs are in full swing, and eight teams have survived the first round of basketball. My home team, the Denver Nuggets, were booted from the playoffs last week after a game seven showdown against the LA Lakers (boo! ), prompting faithful Nuggets fans to question what our team could have done differently. Did we lose too many turnovers? 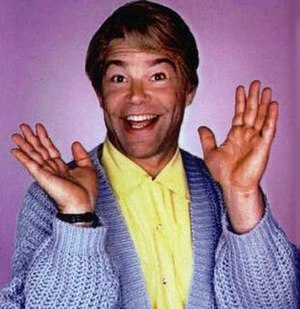 Was there something our coach could have done? Is Kobe simply an unstoppable force? Although no one can pin down a single reason for NBA game outcomes, physicists have ruled out one explanation: the "momentum changing" timeout. Image courtesy CT Snow via Flickr. 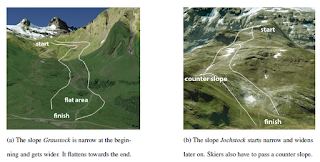 Researchers incorporate physics, psychology and computer science in an effort to reduce congestion on ski slopes. Millions of skiers and snowboarders escape to the mountains every winter, but some everyday stresses -- like traffic jams -- are unavoidable even on the slopes. In plenty of time to prepare for next season, a team of Swiss researchers has combined GPS tracking data and a skier traffic simulation to help reduce collisions between skiers on the mountain. Splash water on a hot skillet, and it will evaporate very quickly. But if you heat it up a little bit more, you'll start to see some new physics: the water droplets will skitter across the surface without evaporating. Upon contact, a protective vapor forms between the water droplet and the skillet, allowing it to levitate across the surface with very little friction. Called the Leidenfrost effect, this phenomenon occurs at temperatures much higher than a liquid's individual boiling point. Now, researchers have transferred the Leidenfrost effect from the kitchen to the lab. By controlling liquid oxygen droplets with magnets, scientists have uncovered some of the physics behind these dancing droplets. Video courtesy of Keyvan Piroird, Baptiste Darbois Texier, Christophe Clanet and David Quéré. 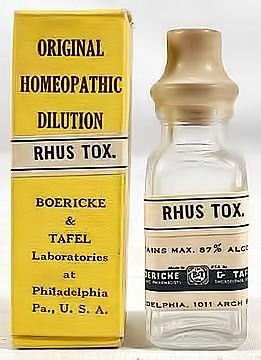 Homeopathy vs. modern medicine. Astrology vs. Astronomy. Intelligent design vs. evolutionary biology. Debates between scientists and pseudoscience supporters have increasingly infiltrated the public domain. 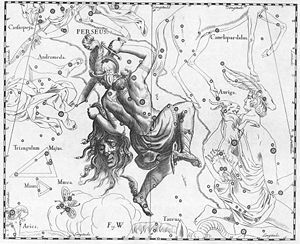 Intelligent design proponents want the theory to be taught as a science; homeopathy practitioners claim to cure illness with highly diluted ingredients despite contrary scientific findings; and astrologers make constellation-based predictions found in the back page of newspapers worldwide. Most experts tend to agree on what areas constitute pseudoscience, such as the three listed above. But what criteria should we use to differentiate between science and pseudoscience or the broader category of non-science? Called the demarcation problem, this question has kept philosophers and scientists busy for over a century. So what is science? What test can we apply to a theory to see if it's scientific? No one has unambiguously answered these questions, but philosophers of science have made some headway in the debate over the last 50 years. Italian officials have put a group of seismologists on trial for failing to adequately warn the people of L’Aquila of a magnitude 6.3 earthquake that struck on April 6, 2009. 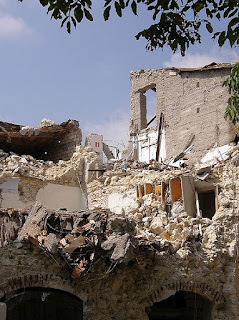 There is no question that the L’Aquila earthquake was a horrific event. It resulted in massive destruction and the deaths of 308 people. I completely understand the urge to find someone to blame for the tragic outcome of this terrible act of nature. But under no circumstances should scientists be prosecuted for holding or expressing scientific opinions, no matter how wrong they turn out to be. So today is apparently International Star Wars Day (May the 4th, "May the force...," get it?). It's an amazing work of science fiction that draws on science fact, myth and good old fashioned storytelling. Or at least the first two and half movies did. Because the Dark Lord himself, George Lucas, is master of all copyrights we can't really show you anything from the films without incurring the wrath of his dark forces. 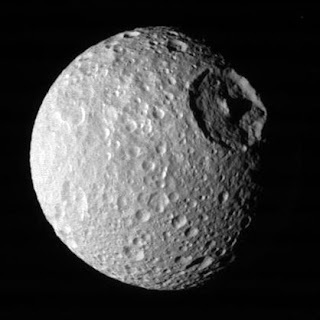 So instead, here's a picture of something in science that LOOKS like something in Star Wars; Saturn's moon Mimas totally looks like the Death Star. "That's no space station, that a moon!" 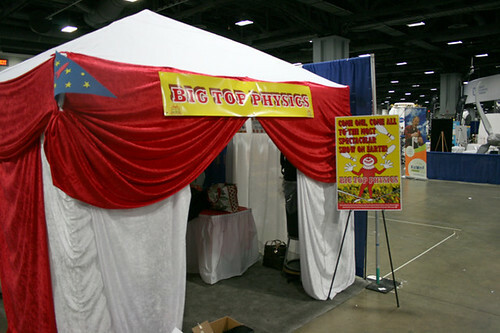 This past weekend PhysicsCentral, along with the American Association of Physics Teachers (AAPT), the Society of Physics Students (SPS), The Optical Society (OSA), the Acoustical Society of America (ASA) and the University of Maryland MRSEC teamed up to present 'Big Top Physics' at the second USA Science and Engineering Festival (USASEF, tired of the acronyms yet? So are we). Held Saturday and Sunday with a preview day on Friday, this event attracted over 100,000 people to the Washington DC convention center to interact with exhibits from every branch of science. This is the second time PhysicsCentral has participated in the event and we had a second amazing showing.